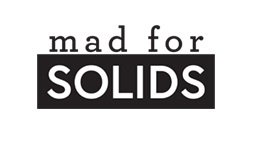 Welcome to the fourth day of voting in our Mad for Solids Bracket! Voting is open from 6 pm CDT Wednesday, March 20th through 5:59 pm CDT Thursday, March 21st. Congratulations to our Game 2 winner! Winter Break...feeling moody. Loving wisteria. So ready for Spring! Spring Fling for me! This is getting just too, too hard to choose!! winter break - i leke the moodiness of it too! Spring Fling all the way! Spring Fling all the way. I would pick Spring Fling! Spring fling. So ready for spring! Love them both, but if I had to pick one it would be Spring Fling love the bright colors. I really like Winter Break today! Spring Fling is my choice. Spring Fling--again, another hard choice!